This summer, whether you are stocking your house for yourself and guests, stocking your beach house rental or traveling, there are so many amazing drugstore finds that will keep you well-stocked for the season, and they will do so without breaking the bank. I have selected a few of my favorite drugstore beauty brands that I routinely pick up when I am wandering down the beauty aisles of my local drugstores. 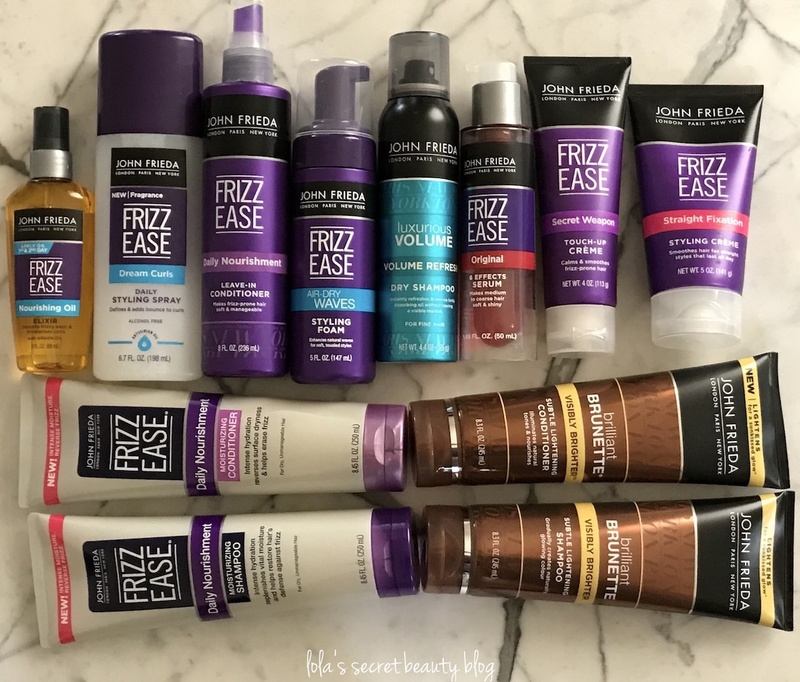 John Frieda Haircare (Available from Ulta, Walmart, Walgreens, Amazon, Target and Bed Bath & Beyond): John Frieda is, without question, one of my favorite drugstore haircare brands. They have so many amazing products from shampoos and conditioners to extraordinary styling products. 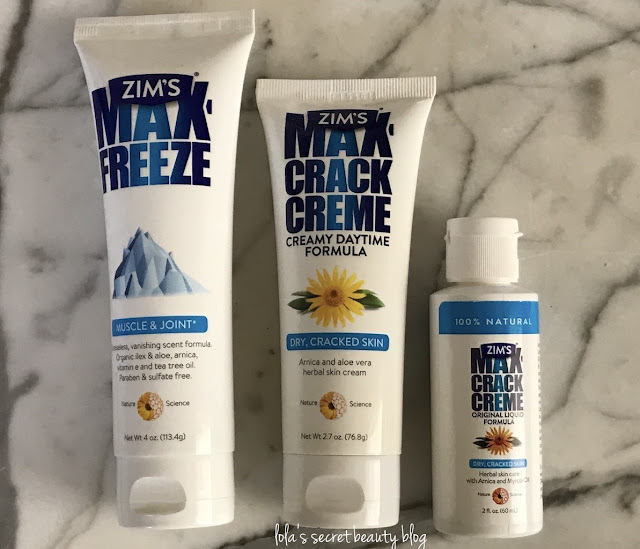 Their Frizz-Ease range is perfect for fighting frizz and taming unruly tresses, but they have affordable products for all types of hair that are well-worth trying. Goody Hair Accessories (Available from Walmart, Walgreens, Amazon, Target and Bed Bath & Beyond): During the summer months I usually wear a ponytail to keep my long hair off of my face, particularly when I am out and about. I also seem to misplace, lose or give away so many hair ties– therefore stocking up on affordable hair accessories is an absolute must for me. 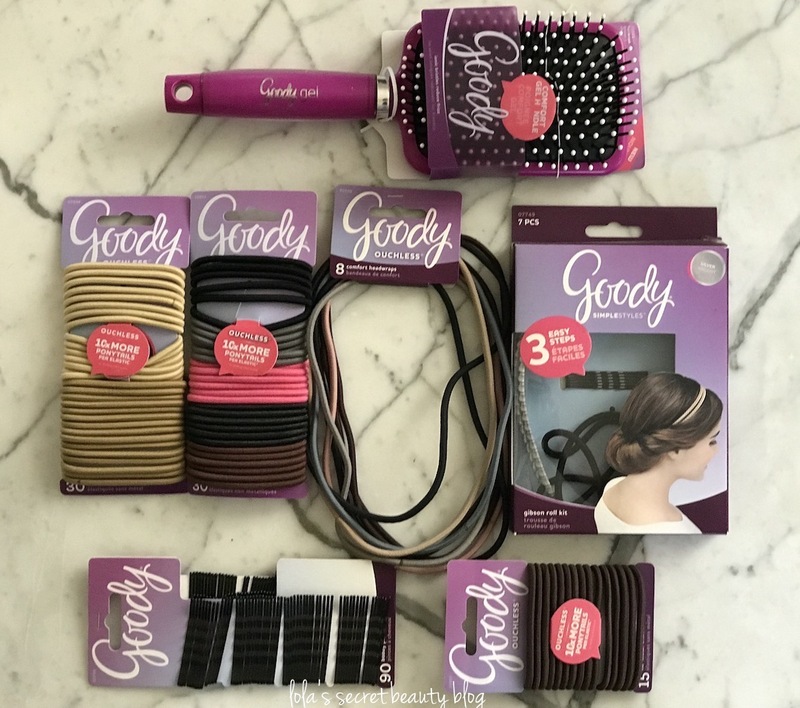 Goody is affordable and their products are high quality, and if you lose a few hair ties you won't be upset. Queen Helene (Available from Walmart, Amazon, Walgreens, Sally Beauty, Swanson Vitamins, Beauty Encounter and Bed, Bath & Beyond): Queen Helene has so many healthy skincare and body care options that are effective, affordable and a pleasure to use. I used their Mint Julep Masque as a teenager, and love it as much today as I did then. Their nourishing Cocoa Butter and Coconut Oil are perfect multi-tasking products to hydrate and treat dry skin during the hot months of summer. 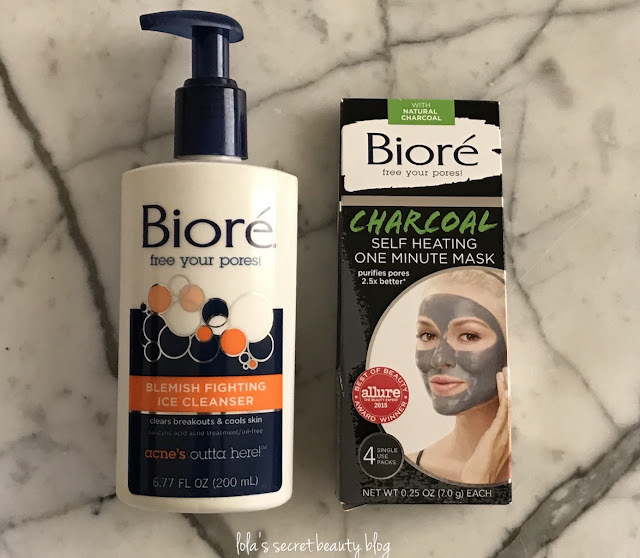 Bioré (Available from Ulta, Amazon, Target, Walgreens, Walmart and Bed, Bath & Beyond): If you are finding that the hot weather is causing you to breakout, then Bioré has a wide range of products to fight blemishes, and their masks and cleansers are especially effective. 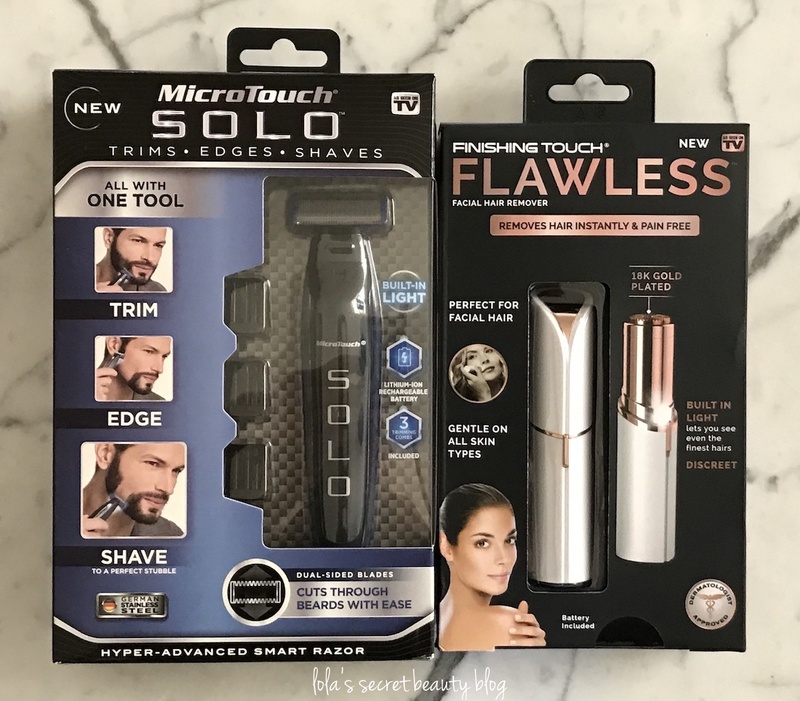 Whether you want a compact razor system for traveling, or a small facial hair removal device, these two products easily stow away in your travel bag, and they are both quite affordable! Zim's Max-Freeze Crack Creme (Available from Walmart, Amazon and Walgreens): If you have thick, dry, cracked skin– hello calloused feet– then Zim's has a wonderful range of products to soften, heal and moisturize feet, elbows and cuticles. They also have a muscle and joint formula that is perfect for post-workout sore muscles. CeraVe Moistuizers and Moisturizing Sunscreens (Available from Ulta, Amazon, Target, Walgreens and Walmart): CeraVe, which is a fragrance-free brand developed with dermatologists, is a perfect choice for people who have sensitive skin, and who avoid fragrances in their skincare products. Their lotions and creams a very moisturizing, and their sunscreens are quite effective. 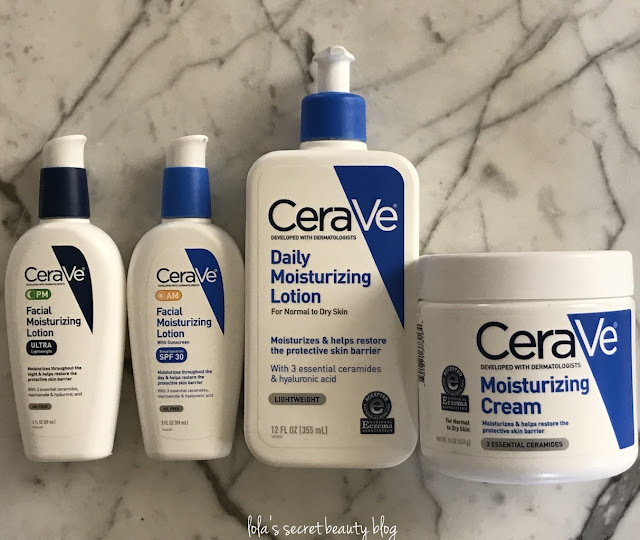 Additionally, when my skin becomes reactive and irritated because of the products that I am testing, I routinely reach for CeraVe to provide moisture without further irritating my skin. Vaseline Intensive Care Cocoa Radiant Lotion and Body Butter (Available from Target, Bed, Bath & Beyond, Walmart, Walgreens and Amazon): Vaseline's Cocoa Radiant collection, which is quite moisturizing, contains Shea Butter and Cocoa Butter and numerous oils that help heal dry skin while leaving it with a healthy glow. The Cocoa Butter scent is utterly delectable, and all of my guests agree since this jar and bottle– which have been kept in my guest bathroom– are nearly empty! Live Clean Body Lotions and Body Oil (Available from Target, Bed, Bath & Beyond, Amazon and Walmart): Live Clean makes a wonderful range of body care products that are cruelty-free, and that are free of parabens, sulfates and other harmful chemicals. Their body lotions and multi-purpose oil are very moisturizing and leave the skin soft, smooth and supple. 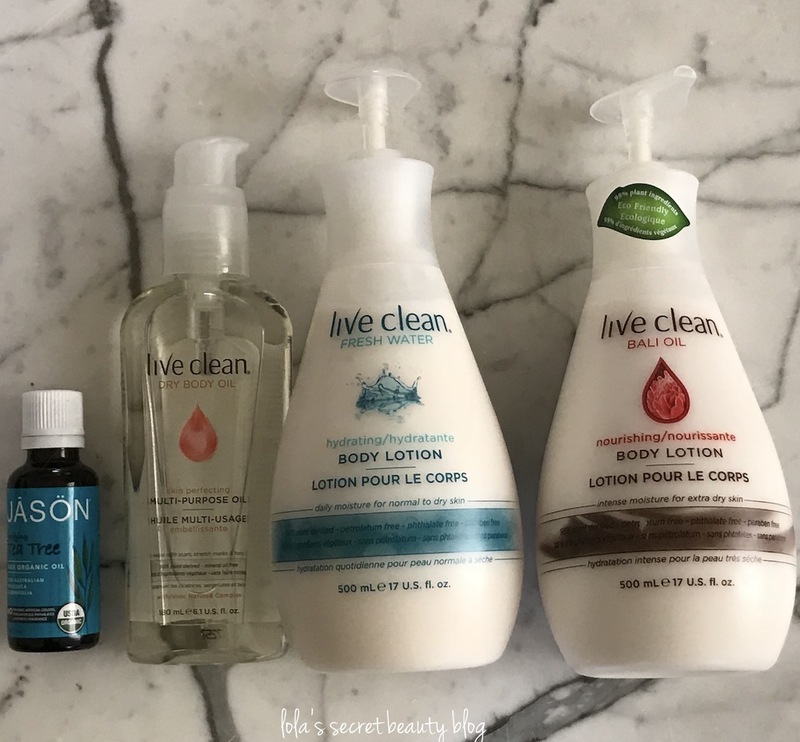 Jason Tea Tree Oil (Available from Target, Walgreens, Amazon, Bed, Bath & Beyond and Walmart): Jason makes so many amazing natural bath and body products, and their body washes are family favorites. Lately I have been loving their Tea Tree Oil to spot treat a couple of heat-induced pimples that have surfaced, and it is natural and ultra-effective. Curel Hydra Therapy Wet Skin Moisturizer (Available from Target, Amazon, Walmart, and Walgreens): This moisturizer is activated by damp freshly-showered skin, and it is so effective and fuss-free that it is perfect for people who often forget to apply lotion. It is by far my husbands favorite lotion, and in fact the only one that he uses daily. It is unscented, very moisturizing and it is phthalate-free, Sulfate-free, fluoride-free, dye-free and aluminum-free. 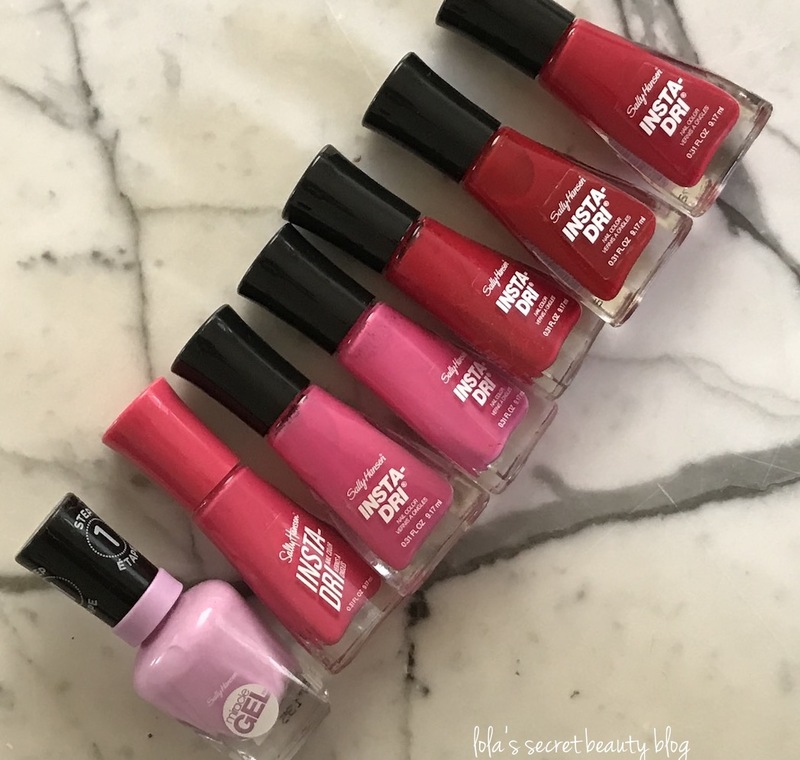 Sally Hansen Nail Polishes (Available from Ulta, Target, Walmart, Walgreens and Amazon): During the hot Los Angeles summers, I often forgo makeup because I prefer a less-is-more approach when it is hot outside. However, I do like to have a nice pedicure and Sally Hansen's chip resistant polishes are among my very favorite. They are affordable, come in a huge range of colors and are easy to find in local drugstores. 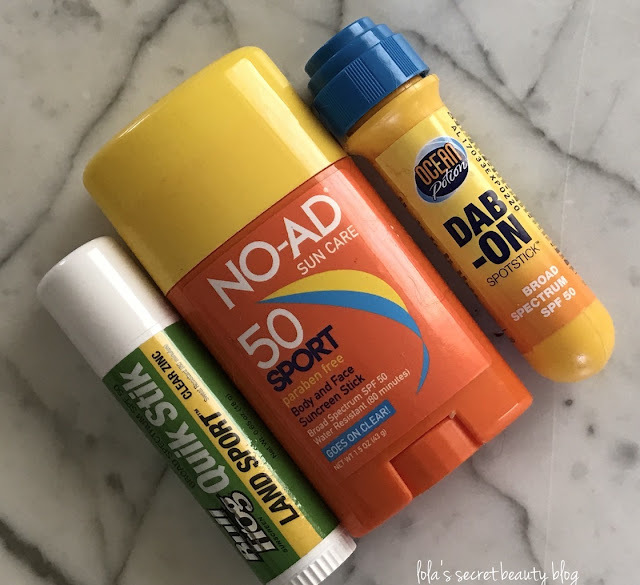 No-Ad Sunscreens (Available from Amazon, Walgreens, Walmart and Target): No-Ad makes a wide range of effective sunscreens, and their Sport SPF 50 stick is a water-resistant formula worth having if you are exercising outdoors this summer. It can be used on the face and body, and the formula is lightweight and leaves behind no white residue. Ocean Potion Sunscreens (Available from Amazon and Walmart): Ocean Potion makes a wide range of effective sunscreens, and their Dab-On Spotstick SPF 50 applies clear with a matte finish, and was conceived for hard-to-reach areas and is also perfect for for the nose, ears, neck, scalp, hands and collar bone. Bull Frog Sunscreens (Available from Walmart and Amazon): Bull Frog, which has long been a go-to brand for surfers, also has a wonderful Quik Stik for Land Sport. It is perfect for hiking, jogging or doing any sort of outdoor adventures on the land. The formula is sweat resistant for 80 minutes, and it goes on clear. It is portable, easy to use and perfect for the face, hairline, nose, ears and scalp. Overall Assessment: These are some of my favorite drugstore products to have on hand this summer, and not only does my family use them, but so too do my guests. What are your favorite drugstore products this summer? I only ever use Goody hair ties - they are so kind to my hair, and easy to wear on the wrist when you want to let wear hair open. Their hair ties are fantastic! Me too!!!!!!!! That's exactly why I featured them here! At least when they disappear it's not an expensive loss! Plus, I lose so many to handing them out to friends who need a hair tie! You could open a drugstore with all your goodies. I really like my Flawless Finish and I'm glad I bought it so that's my favorite of all you've shown. Hahaha! Indeed, I feel like I could open a drugstore! YES, Flawless Finish is amazing! I love CeraVe, and that PM lotion is really fantastic! These are all great brands. I've never seen Zim's before, would like to try it! I think so too, Cindy! Zim's is definitely a great brand worth trying! 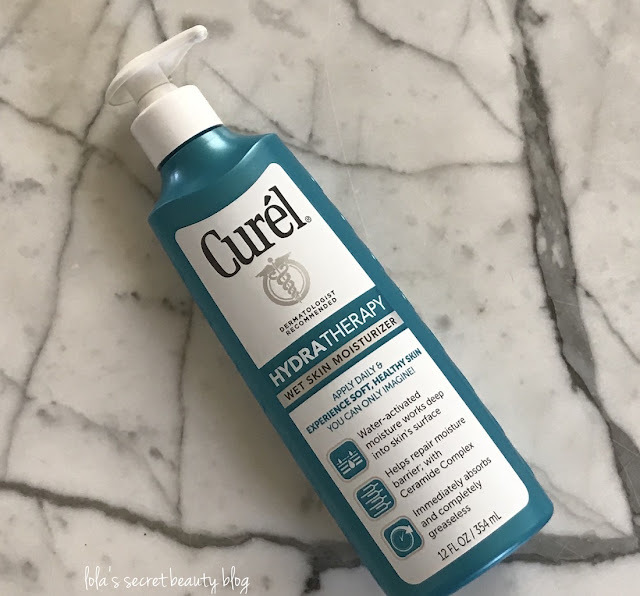 I've been wanting to try the Curel Hydra Therapy but I haven't spotted it at the store yet. Might have to break down and purchase it online. It's great stuff, Cassie! It's by far my husband's favorite, and most used, moisturizer! 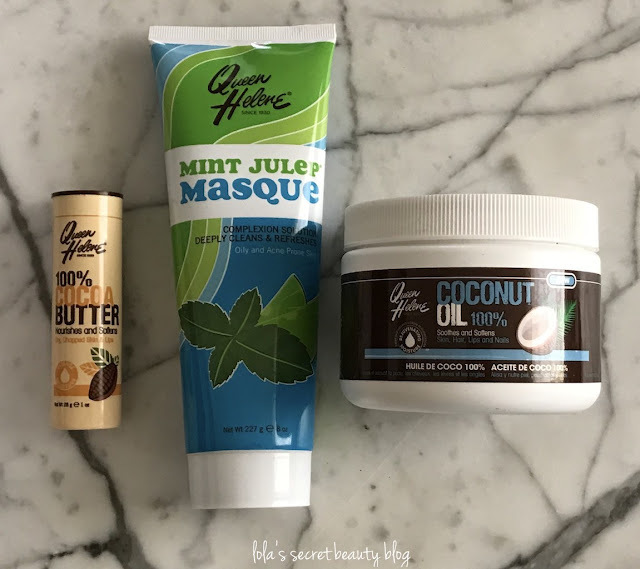 This is a great list of products and I think I use or have used almost all of them. John Frieda shampoo is a totall winner for me and my family! Thanks, Stacie! My family loves and uses these all of the time! I completely agree with you about John Frieda shampoos! 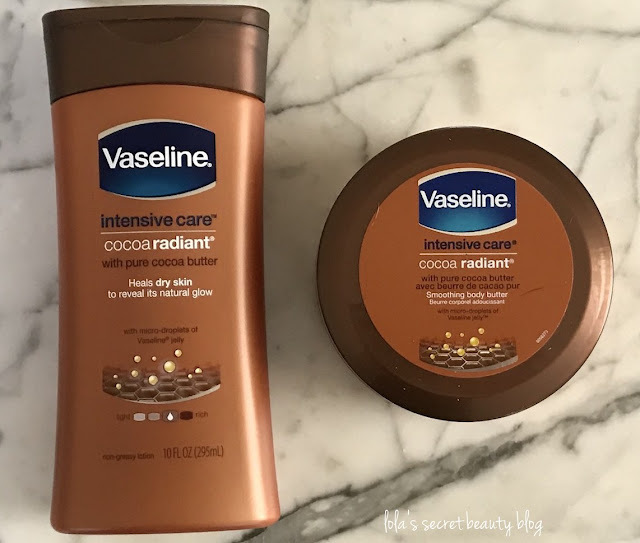 Cerave, Vaseline and Curel are all brands that I love at the drugstore!